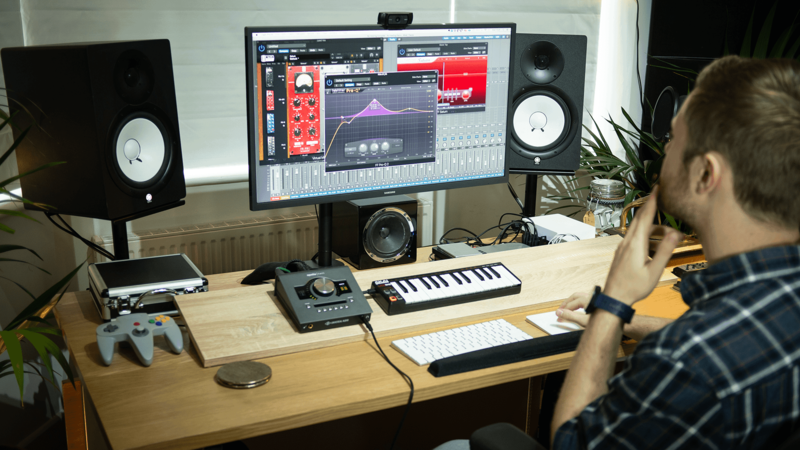 Best DAW 2019: Which Digital Audio Workstation Works Best For You? Gain vs Volume: What’s the Difference? I have been wanting to write about gain staging for a while. It’s such an integral part of good recording/mixing, yet it’s something that a lot of people get wrong. Today, we’re going to clear all the confusion. Plus, we’re going to go over my “secret sauce” technique to get improve the sound you get from gain staging by tenfold. That way, you can see a real-world approach to gain staging. What Gain Staging Mistakes Are You Making? Why Is Gain Staging So Important? Mistake #1: Not understand what gain staging even is. Mistake #2: Obsessing over gain staging. Mistake #3: Not fixing the gain staging of the busses. Mistake #4: Not level matching your plugins. Mistake #5: Spending your hard earned money on gain staging. Mistake #6: Keeping your faders extra low. First, let’s go over what gain staging is and why it’s so important. 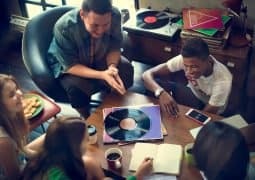 In the analogue days, it was common practice to record at high levels to prevent the hardware from adding noise to the recording. But this is COMPLETELY wrong. Digital audio is very different. Thanks to modern equipment, there is no need to record at high levels to avoid noise. In fact, recording and mixing at high levels is just plain BAD for your mixes. Pre-amps don’t perform as well when the levels start approaching 0dBFS. Plugins don’t work as they should, your headroom disappears, and everything starts to sound mushy and undefined. 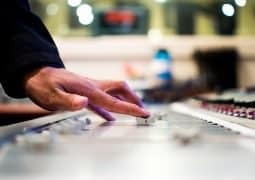 Recording and mixing at high levels will also make your final mixer QUIETER due to the lack of headroom when it comes to mastering and applying a limiter to your stereo buss. So what levels should you record and mix at? Aim for an average of -18dBFS with the peaks around -10dBFS (and never higher than -6dBFS). Why -18dBFS? That’s the equivalent of 0dBVU on analogue equipment. That’s the level that every engineer would aim for when recording. In old analog equipment, 0dBVU was the “sweet spot” where the consoles, EQs, and Compressors sounded best. 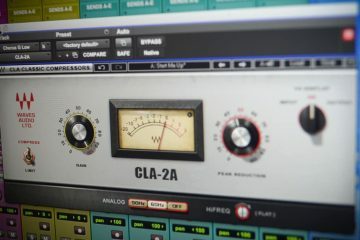 And since most plugins are based on that old analog equipment, the sweet spot is still around that area. On the other hand, 0dBFS is the point at which audio distorts. You never want to be anywhere near 0dBFS when mixing (only when mastering). The meter in your DAW will have numbers next to it. That’s how loud the channel is in dBFS. Recording and mixing around -18dBFS also means you have plenty of headroom. What’s headroom? The amount of gain you have between your audio and that 0dBFS limit. The nearer you are to 0dBFS, the less headroom you have. Less headroom means you can’t bring up an instrument if it sounds too quiet. 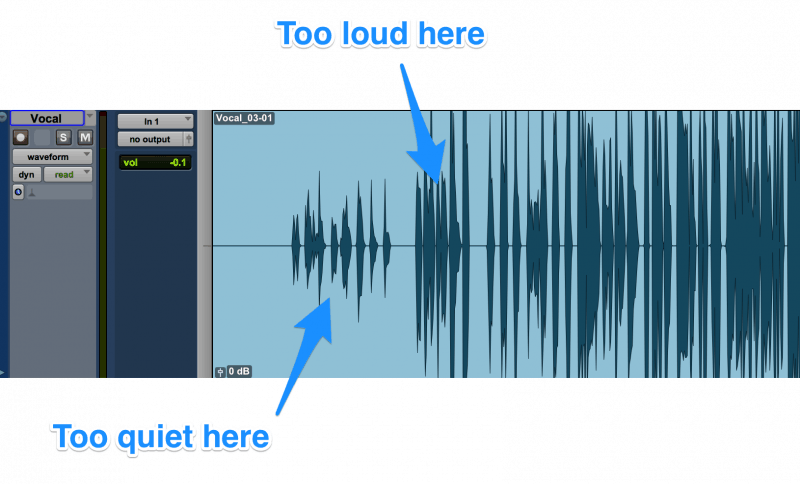 Less headroom means no room for your mix to breathe. Less headroom means less dynamic range in your music. It’s not always easy to hit this exact sweet spot when recording, so you have to re-adjust the gain for every channel at the start of every mix. The usual way of gain staging is to use a trim or gain plugin right at the beginning of the plugin chain. Simply adjust the gain until the track is hitting that sweet spot. Then repeat for every single channel. 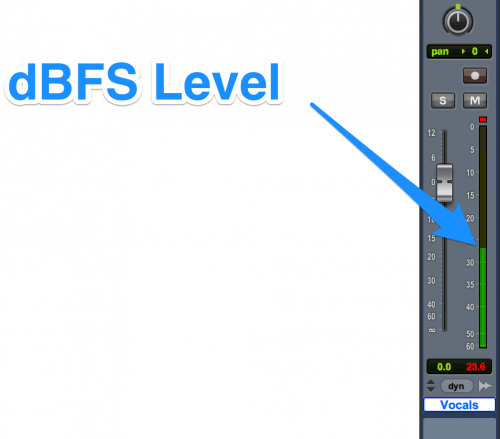 Once you’ve got your tracks to sit around -18dBFS, your mix will start to sound even better. But there’s another step to the process. Every time you apply a plugin, you need to check that you aren’t increasing or decreasing the volume of the channel. If you are, use the gain control on the plugin to adjust accordingly. For example, applying lots of EQ cuts will decrease the volume of the channel. To compensate, you must raise the output gain. This is also important for referencing . If something is louder, it sounds better. To make sure you’re actually improving the sound with a plugin (not just making it louder) it needs to be the same volume when you bypass it to check. One of the best ways to quickly see if something is hitting the digital sweet spot is to actually use a VU meter. These are the meters that engineers used on analogue equipment before the digital age. They’re different from your standard peak meter because they’re much slower – they measure the average level, rather than each tiny individual peak. The digital sweet spot is based on these meters, so what better way to make sure you’re gain staging well than to use one of these! 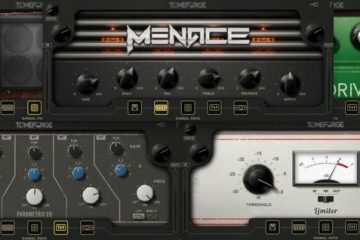 Most DAWs don’t have these as stock plugins, but TBProAudio actually has a good one you can download for free. With the meter on the stereo output, I can pretty quickly get an idea of how loud each channel needs to be. Here are the top 6 things that people get wrong about gain staging. You’d be surprised how many musicians, producers, and engineers don’t really understand this concept. Hopefully, this article has helped to fix that for you! Here’s the thing: gain staging is important. It’s something that, if not done, can keep your mixes from ever sounding professional. But it’s not a magic wand! Making sure your tracks have the right amount of headroom is more like leveling the playing field. It’s making sure you have every opportunity to make your mix sound incredible. But it itself is not going to make your mix sound incredible. This process doesn’t need to take more than 2 or 3 minutes if you’re eyeballing it, or 5 or 10 if you’re getting a little more specific. Not every track needs to be perfectly set to an average of -18dBFS. Just making sure it’s around that area (and not peaking higher than -6dB) is all you need. Set it and forget it so you can move on to more important things. Just because you gain staged your individual tracks doesn’t mean you get to leave out the busses. If it has plugins on it, it needs to be gain staged. The busses are just as simple, though. If the signal’s coming in too hot, just add a gain plugin at the beginning of the plugin chain and turn it down. That’s all you need to do. Make sure to do this for the stereo output as well. Almost all plugins affect the level of the sound in someway. Depending on what the effect is doing, it’s either turning it down or turning it up. 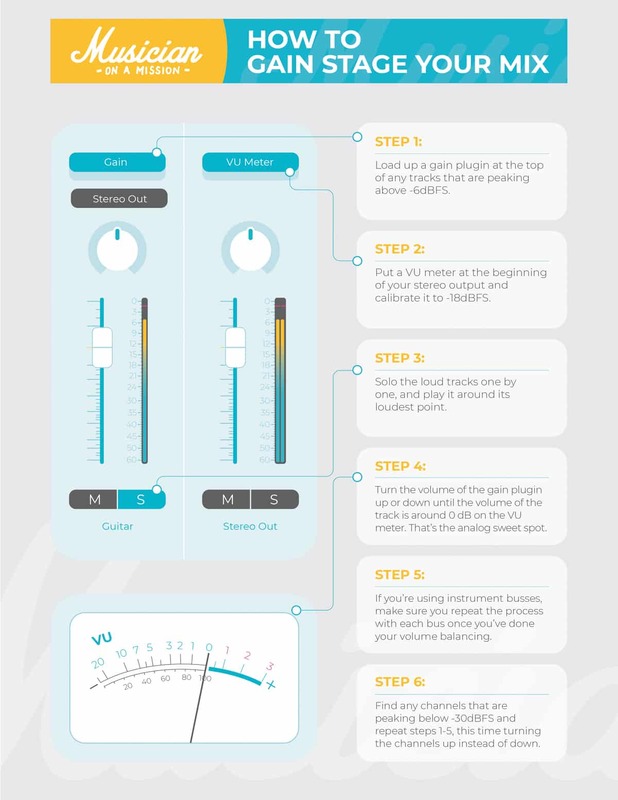 Keeping a consistent level of volume through your entire plugin chain is essential! Otherwise you’re not going to be staying in the sweet spot. This is something you’ll be doing as you’re mixing. Anytime you add a plugin and make your tweaks, turn that plugin off. Does it sound louder, or quieter? If so, use the output level on the plugin to make keep the volume the same. The trick is that you should be able to turn the plugin on and off repeatedly without hearing a drop in volume. If the plugin doesn’t have an output fader, just add another gain plugin after it. Simple as that. Sometimes you see cash grab schemes from plugin companies trying to sell their customers gain plugins. Don’t fall for it. You don’t need it. All you need is a gain plugin (which comes stock with every DAW) and maybe an extra RMS/VU meter (which either come stock with your DAW or can be downloaded for free). Remember, doing this process right isn’t going to make your mixes sound better. It’s just going to get rid of a stumbling block that can make your mixes sound worse. Buying fancy plugins won’t improve any quality. So don’t do it! After balancing your mix, you may realize that some faders are really low. Maybe a percussion part or a pad. Something that’s just supposed to be barely audible. The problem is that the closer you get to the bottom of the fader, the less resolution you have. One tiny movement could change the gain by 10dB! You should aim for your faders to be around 0dB to keep that resolution high for the mix. If you’re coming across this as a problem, add a gain plugin to the end of your chain, and cut the volume there. That way you still have access to the full resolution of your faders. 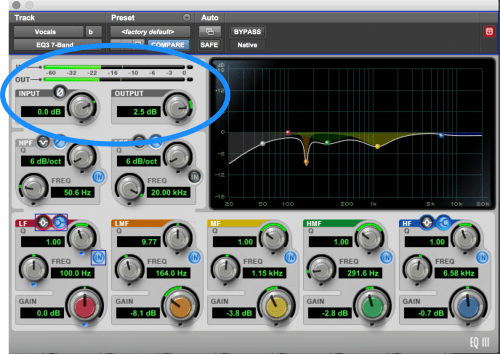 If you fix these 6 mistakes, you should be gain staging your mixes just fine! This is the advanced class of gain staging. It’s something the pros use to get a more consistent sound throughout a song. Instead of simply applying gain to the whole channel (by using a plugin) you can in fact automate the gain. This gives you a lot more control and is a great way to make a vocal or instrument more consistent in volume. The technique is called clip gain automation. Imagine you have a song to mix where the vocal has an average volume of -20dBFS in the verse but -14dBFS in the chorus. If you apply gain staging by simply adding a gain/trim plugin during the chorus, your verse will now be too quiet. If you applied gain staging during the verse, the chorus would be too loud. Instead, why not cut each section of the song and apply gain directly to the clip or region? You could add 2dB in the verse and cut 4dB in the chorus. Now the vocal is always in that -18dBFS sweet spot. Using this technique, gain staging is no longer just a way to put your audio in that -18dBFS sweet spot… it’s also a way to control dynamics. Instead of applying clip gain to entire sections, you can apply clip gain to individual phrases, words or even syllables. This is perfect for something that needs to be ridiculously consistent (like vocals). In the words of Chris Lord-Alge, “With the vocals you’re chasing the faders to get them really in your face. It’s all about automation”. Automating clip gain rather than volume means that the vocal/instrument is dynamically consistent BEFORE it hits your compressor – not after. Before the vocal/instrument touches ANYTHING else, it’s already consistent. This takes a lot of stress off your compressors and limiters. It helps all of your plugins to perform better because the vocal will always be around that -18dBFS sweet spot. By automating early on, you also make it a lot easier to mix. You can be more subtle with compression. Big wins early on will increase your confidence, too, which means better mixes. It’s too time-consuming to do this for every single channel. You need to combine this technique with straight forward gain staging using a gain/trim plugin. But clip gain automation is like gain staging on steroids. Use it on lead vocals, lead guitars and anything else that needs to be at the forefront of the mix. The exact process varies from DAW to DAW. Now that your tracks are all around -18dBFS, how do you make your mix loud once you’ve finished? If you’re getting the track mastered, there’s no need. Send them a stereo mix that averages around -18dBFS (they’ll love you for it). If you’re mastering your own track, apply a gain/trim plugin and a limiter as your final two plugins. This is where you bring the gain back up to average around -8dBFS or lower. The limiter will stop the audio from clipping above 0dBFS. Load up your DAW of choice. Open a recent mix or load up this template. Check the levels of your channels. Are you in the gain sweet spot? Chose the main focus of the song (lead vocal or lead instrument). Separate the track so that each section has it’s own clip/region and adjust the gain until each section is in the gain sweet spot. Chose one section and separate the clips/regions by phrase. Apply clip gain automation. 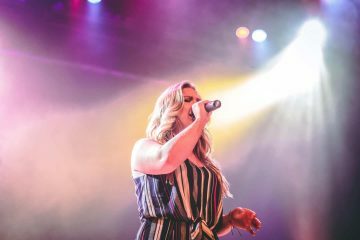 Listen to how dynamically consistent the vocal or instrument sounds. Go through and apply basic gain staging to every other channel using a gain/trim plugin at the beginning of every channel. Notice how much headroom you now have on your stereo buss or master output. What do you think of this technique? Are you going to try it in your mixes? Had you ever heard of clip gain automation before? Or perhaps you weren’t aware of proper gain staging and have only just started applying it in your mixes? Perhaps you’d like to comment on the fact that I still listen to music that I listened to when I was 14 because it helps me focus? Do you have any weird habits like that? Leave a comment below, I want to hear from you! Audio professional, musician and founder of Musician on a Mission. Hey Rob, I’m finding your tutorials extremely helpful. There are hundreds of videos out there for this sort of thing but yours are by far the clearest and most concise. I’m getting way more confidant in my own skills thanks to you. Your really doing a great job ! I like to said you the type of meter that you are using to read de levels is extremely important! 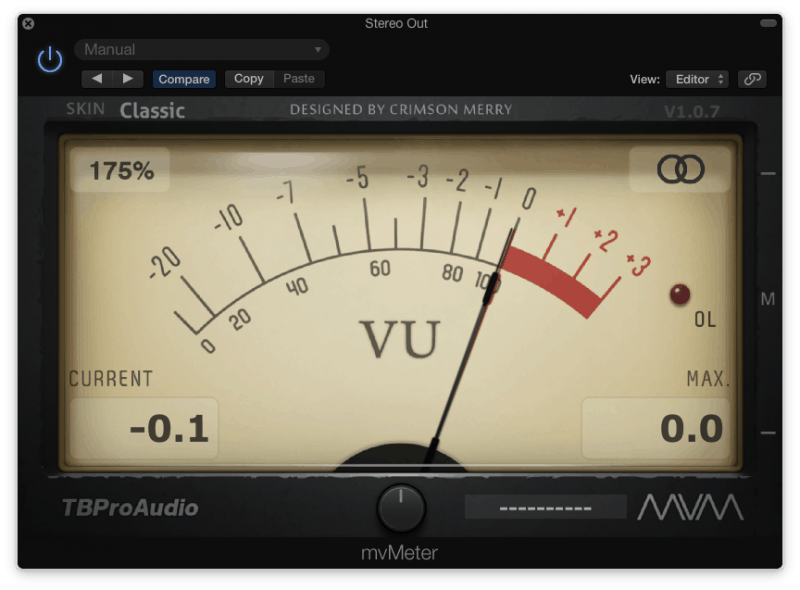 I did a research about audio meters and found that the gauging they do is so, so important. In a RMS meter, the energy it measures is similar to the human ear then its readings are very representative of the volume. 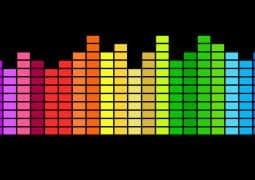 In an average meter (the must common types) the level reading is fine for signals with low crest factor (sine signal), but they are very inacurate for signals with large crest factor like the studio’s material (in the pre mastering material). Of course, a peak meter is useful to check the crests, as the electronics limits the excursion. A real vu meter calibrated at 0VU with a sine signal that have a crest factor of 3dB, when measures a signal with 6dB of crest factor (correspondent to a sine signal pulsating at 50%), – that is 3dB more -, falls 4 VU, while the software meters I tested fall 6 VU!!!!! Showed me that they are average meters not vu meters! All the software vu meters I tested, (around all disponible) that said to mimic a vu meter, don’t work as a SVI meter. All are wrong! May be nobody knows really how a volume meter works? Sure, Howard Chinn is wallow in the grave! One question about gain staging: is It safe to do that on the file itself, rather than the clip(s)? Should I use the gain plug-in on each instrument or just the instrument submix? Also will using lots of instances of Gain-Plug-ins affect my CPU? 13 submixes or 70+ instruments? Cheers for the article. A great read! Thanks for your tips, very useful! I`ve had all these mistakes and now I can go on more confidently! When putting EVERY track in the mix at -18dBFS the volume of the whole song is reaching A LOT more & not staying at -18dBFS… if you gain staging, as you suggested- than 12 or 14 tracks at -18dBFS will get the master volume to -10dBFS or maybe more load (because the sum of 14 tracks played at -18dBFS). I don’t think that in a song the whole tracks need to be at the same volume (-18dBFS ), but you need that in the end your whole mix will be at -18dBFS. Some right, but mostly wrong. You may want every single track to be prepared with -18dbfs in order to preserve headroom and suit the plugins well. Now all tracks hit that sweet spot. Now the song sounds awfully bad, because there is no big difference in volume and depth. BUT every single track is prepared well for MIXING now. Start for instance with the drum group: Everything at -18dbfs does not sound like a drum kit in a room. Maybe raise the snare, lower the toms, lower overheads but raise room mics a bit, whatever. I’m sure that unlesss you’re doing drastic fader surfing your mixdown will automatically be somewhere at about -16 or -14 dbfs in the end, maybe -12 which is PERFECTLY FINE! Why? Because there should be no plugins on the master mix bus here! No need to aim for exactly -18dbfs in the master fader, just keep as low as possible below zero. Mix that mix down to one file and go on to mastering stage –> Apply gain trim plugin first and set your mixdown’s level to an average of… EXACTLY! -18dbfs. Now the first plugins in the mastering chain again receive that nice sweet level where they probably work best. 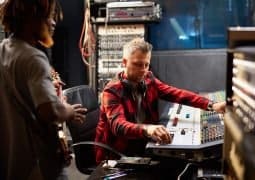 Rob, enjoyed the article and am learning a ton from your “Music & Audio Production in Logic” course … thank you so much for doing all the hard work to put these resources together! 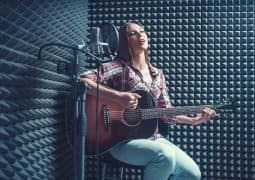 After reading this article, I started applying the technique to some vocal recordings (works great!) … and it occurred to me that there might be a bit of an easier workflow than chopping the source audio into different regions and adjusting the gain of each … how about writing some fader automation (and even opening the automation editor and doing some precise fine-grain fading on particularly loud peaks, or particularly quiet areas), then bouncing in place with “Include Volume/Pan automation” ticked? Am I overlooking something important, or will this technique work equally well? Rob, thanks so much for this, I never really understood this concept until reading this article. Also, I use Logic and had no idea you could do this so easily. Question, if I’m creating VST tracks in the box, for example using Logic’s “Drummer” or a plug-in synth emulator, should I simply aim for an average volume of -18dbFS prior to printing said part to audio? Thanks! Starting a mixing project with this technique, would that mean you leave the faders at unity when starting gain staging? Unfortunately, for me, I’m using PT 8 LE so I don’t have that option to just bring that little fader up and down. When I load the Cubase template in Bubase Artist 8.5, I get a warning for each channel that “Plugin Q cannot be found”. Which plugin did you use there? Thanks! That was just cutting 10dB of gain on every channel, you can achieve the same thing with any other plugin with a gain adjustment. Rob, you said if you are mastering your own track. Use gain and a limiter as the final plugins. Where at? On the stereo track ? I’m using logic. And also, the limiter plugin has gain within it. So which one do you adjust and why? Great tip – would you ever do this by normalising the tracks to -18dBfs instead of using clip gain plugins? Normalizing would only put the peaks at -18dBFS rather than the RMS or average level. Peaking (not averaging) around -10 will be fine, but -7 is getting hot! I have been trying to leave a comment on your compressor tutorial video, but for some reason I am unable to leave a comment, so I will try and copy/paste here in hopes you see this. I am confused on something, mainly because of some article I read in the past. In an article I read somewhere in the past I read that for a louder track you can put a compressor on the master bus with a very low threshold and a very low Ratio 1:1.5 ish. therefore cutting out just a few DB’s from your overall track, not noticeable to our ears but it cuts a couple of decibels from your track allowing for more headroom. This is where I am confused, you say that if the threshold never resets or goes back up then you are only essentially turning the volume down? Does this mean that the above tip from this other article is complete nonsense? Or does it still tame peaks somehow even though the threshold is always below the signal? Am I just turning the track down essentially making it a complete waste of time? I hear that having a low threshold (always below signal) is a common compressing method for lead acoustic guitars on instrumental tracks, with a very low ratio. Is this all wrong information you think? I have been wondering this for a few days and have been trying to google lots for information on this while I can’t find anything that answers my question, can you please tell me what you think? Love this channel, thank you for doing what you’re doing! My problem is with drums. Setting the kick, snare or even overheads to an RMS of -18 dBFS pushes the transients so much that they hover above -6 dBFS and even clip (pass 0 dBFS) at times. Is that a tell that compression is needed? With a guide of -6 dBFS mimicking 0 dBFS, does this mean I need to pre compress transients by about 6 dB if they clip with the RMS at -18 dBFS (or -10 dBFS mimicking 0 dBFS would imply 10 dB compression on a transient?!?) ? That sounds a little drastic. Any insight here please! With bass vocals and everything else really -18 dBFS is no problem. Only on percussive stuff that the transients just poke out too much! Yep, apply this when recording too! Finally ! Once again, you’ve nailed the explanation. It takes a while to read through this article but it’s totally worth it. Now I really get how to implement ‘gain staging’ on top of understanding the purpose ! PS : I listen all the time to my 14 y.o. music to keep focusing on something important (mine is Ben Harper ; “still my kisses”)… ha ! Great to hear, thanks Elliott! Haha, I’m glad I’m not the only one. I know some people who just listen to the same song on repeat – that would drive me crazy. No problem at all, thanks for reading Saiju! thank you sir…very well explained. I might ask a favor though of you. I’m migrating from my original DAW to Studio One Artist. Without making a big deal of it, for me it’s a perfect balance between what Pro Tools does (and I cannot afford) and my current DAW which is by design “Musician Friendly”, but seriously Top Heavy in the CPU and ram usage. I have been using the Sonakais Trimmer in my original DAW for a long time. Still looking around S1’s stock plugins for an equivalent, just haven’t spotted it yet. While Studio One is very similar to Pro Tools, it has it’s differences. 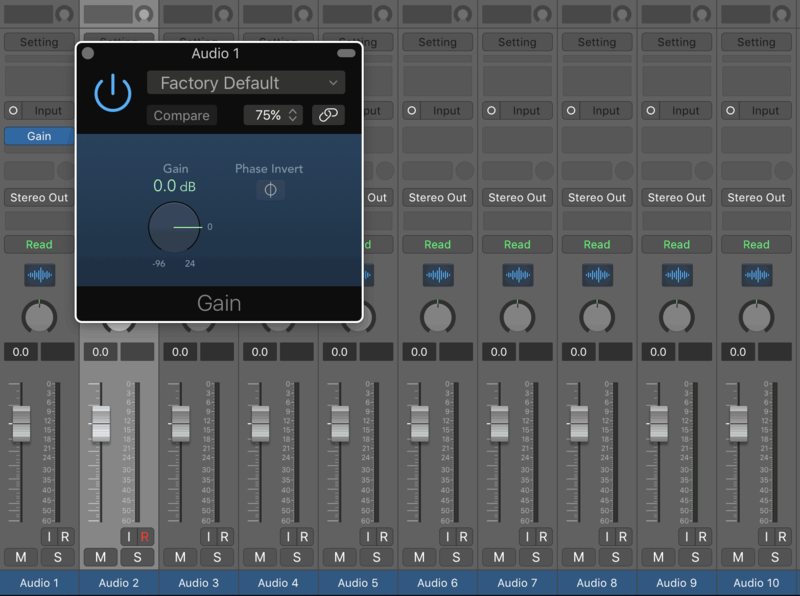 Can you include in your demos from now on examples using Studio One? I think you’ll find a lot of people are in fact switching over for the reasons above. I know all DAW’s are essentially the same but the “Re Learning” of keyboard commands, and so on is always time consuming and takes away from productive workflow. The process you described in the instructions and video are easy to do in my original DAW as I’m used to it, but I screw up mixes right now in S.1 as I forget their are different key strokes and so on from what I’m used to. One thing I’ve noticed though about S1 is that it seems to default to minus about 15 when loading even if the faders are at zero. Can you explain? Thanks. I can’t really comment on the -15 problem at this exact moment, as I’m not a regular S1 user. But I will certainly start using it more often and include it in my examples! Thanks for your comment, it’s much appreciated. Thanks a lot for your tips. I am a hobby musician and a hobby mixer – both at a reasonable leve. I have been mixing the last three or for years. For the most recent son I am mixing I try to apply a trim and gain plugin and clip gain automation, of which I never heared before until three or for days ago. After that I find it easier to apply a decent and nice compression on all tracks. And I can already say that it makes the mix more open and clear (already in the first stages of mixing). Can’t wait to read/hear/see more of your advise. Of course I mean Rob (not Justin…). My apologies! 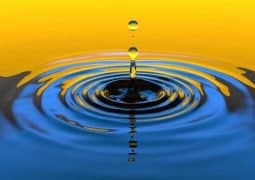 Wonderful article, great tips. 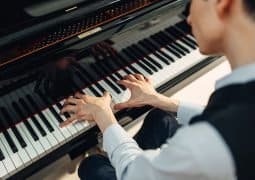 I have more experience in composing, but I just recently started mixing and mastering my works,so as a beginner I must say, I know so little of this and would love to know so much more, so keep on adding these types of articles, they are of much help to me personally. Now, I work in FL Studio 12, and only with virtual instruments, so my question is, do I apply the same rules and can you recommend a plugin that will help me with FL Studio 12? Thanks a lot! Hey Rob this info is priceless….Just took an old Dub mix which I didn’t particularly like and striped it back and applied your gain staging technique….Result…Different track…Thank you so much for this..
That’s great to hear Keith!! Thanks for letting me know! Thanks Rob for the info. i’ve been doing this a long time on Pro Tools too, but wasn’t aware. I als use the Phase Scope to control the peaks (at -6dbs) and RMS (at -12dbs) on a track. Advice from sound engineers. I guess I have to adjust this? Maybe you could do an article about the peak/RMS part of volume? Thanks for your enthousiasm. Hey Joost, thanks for your comment. -12 should still give you enough headroom, but -18 is the optimum for most plugins. Don’t become too obsessed with exact peak/RMS levels. That’s more for mastering. Eyeballing it is usually enough! nice, for the gain staging I`m using Hornet VUmeter, because it does it automatically. And in Reaper there`s a very useful extension, called Peak RMS or so. You can split all items, then select them all, press 1 button and it will bring them all to the right level, adding different amount of gain to each item. Great tricks, thanks for sharing!! great article….. something else I do all the time at -20db.i’ll switch to 18… but whats this gain trim plugin you mentioned? I seam to be doing everything manually. 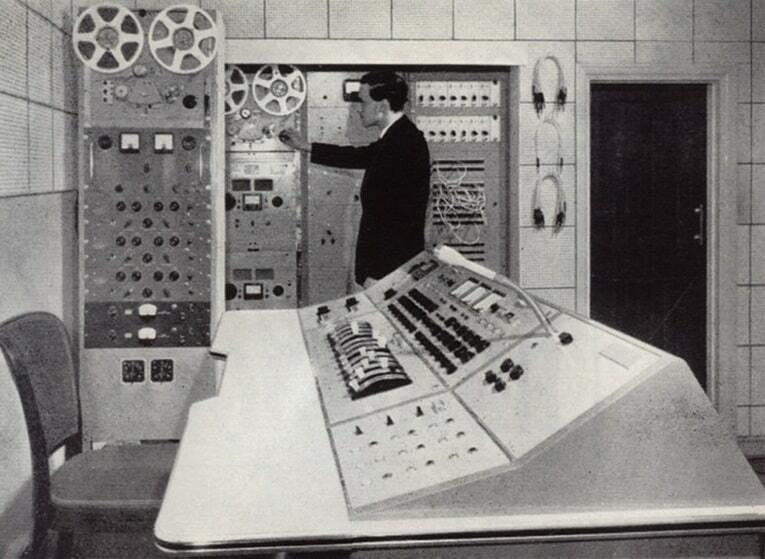 Hey Peter, which DAW do you use? In Pro Tools it’s called Trim. In Logic Pro X it’s called Gain. It’s easy to read average level with a VU meter too! Protools 12.4 now picked up a focusrite 56 after my project mix died. 56 would not run on protools 11 or below they had to upgrade focusrite software. Great article Bro! I’ve been using the same technique for a long time now & have always loved it! And I LOVE logic’s clip gain adjustment too!!! Let’s you ride your compressors in a more consistent manner & makes for much easier to manage multi stage compression as well. Thanks for the post Rob!!! I love that feeling of being able to make small adjustments to improve the tone without having to worry about controlling the levels as much. I’ve never thought about clip gain, my problem is the noise floor though where the FireWire connection introduces noise to the recordings, so in my situation I kinda have to uses as high level as possible to mitigate this problem. In any case, once I’ve resolved my FireWire problem iI’ll be giving this a go! Thank rob! Great link, thanks for sharing! Great article, very clear and easy to follow! Thanks Lottie! Glad you enjoyed it, thanks for reading. Let me know how it goes Jack! Haha love the fact that you lsiten to emo teen music to focus! Feeling OVERWHELMED with the recording and mixing process? Join my free 7-part home recording course and I’ll show you how to finish your best mix yet.